So the dreaded letter from school arrives in the mail. It is a warning you that your child will soon be learning about puberty in school. What will the letter say? ? The girls and boys will be separated to learn about puberty. So what should you do? ? Talk to your child FIRST. Don’t let school, their friends, or the internet be your child’s first teacher on this topic. Seek help if you need help talking about puberty. Use a book, ask your doctor, or simply sign up for Turning Teen. 🙂 As pediatricians, Dr. Carrie and I talk about puberty every single day – so take advantage and learn from the experts! 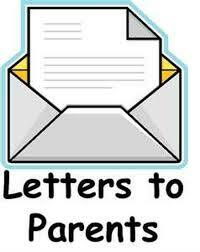 So how does a mom and daughter that has been to Turning Teen react to this letter?!?! ? With a big smile. And a lot less worrying and scrambling because Turning Teen graduates are comfortable, knowledgeable and body literate.